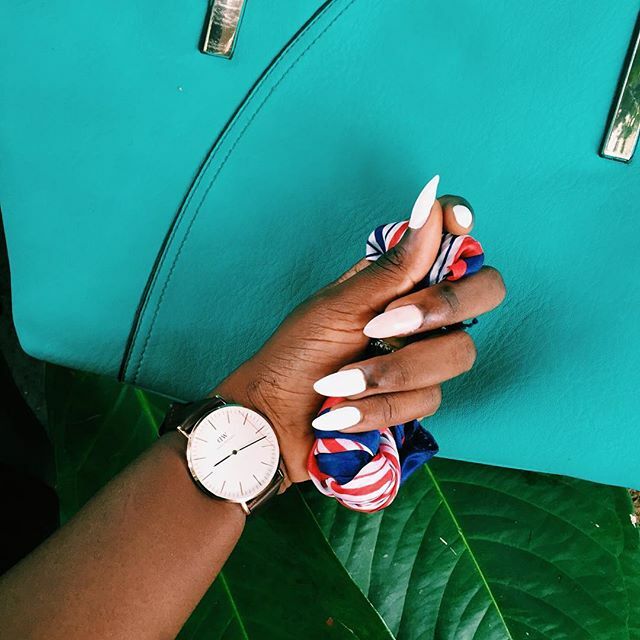 I had been eyeing these Daniel Wellington watches for a while now, i love all of the interesting images the international bloggers have been creating with the watches. So when i got an email saying they wanted to send me one I was like hayyyyyyy I've blown, forget! There were soo many watches to choose from but I chose the 'Classic Bristol' because it looked very simple and sophisticated. My watch got to me in about 2 weeks and delivery service was amazing because I kept getting email updates with tracking information so i knew where my watch was and at what time. So my gift to you guys is a discount code for 15% off any purchase and it expires in a month and a half so better hurry! I hope everyone is doing well, I've been stressed with work but im excited to be going to Lagos next month. Oh wow I am so jealous! It looks amazing on you! It's lovely... it's not girly... or feminine.